Jamie Dixon and the TCU staff enjoyed a big weekend by landing two high-profile recruits. 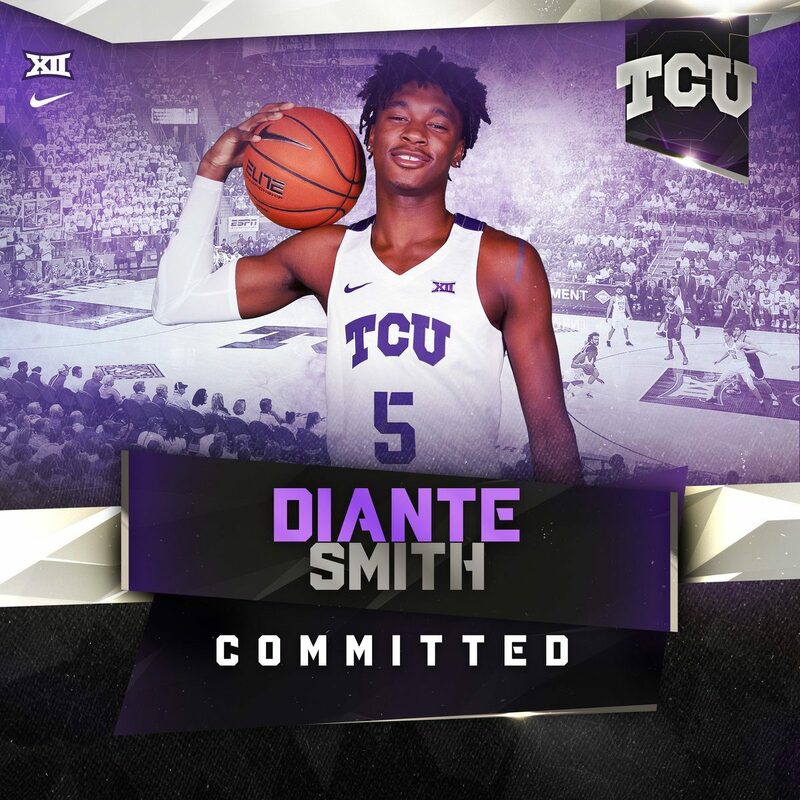 Diante Smith, the 6-foot-6 small forward from Choctawhatchee (FL) High School, committed to TCU after de-committing from Alabama. Smith chose TCU over Oklahoma, LSU, South Alabama, SMU, Virginia Tech and Florida Gulf Coast. According to 247Sports, Smith is ranked as the No. 105 overall player in the Class of 2019 and the No. 22 small forward. Also on Sunday, TCU also landed a pledge from P.J. Fuller, the 6-4 combo guard from Findlay Prep (NV). He considered Washington, Arizona, Texas Tech, Iowa State, Florida State and UNLV.